George Hill has been serving at Grace Church since May of 1998, first as Youth Pastor and now as Care & Discipleship Pastor. 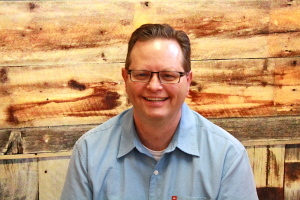 George received his Camp, Recreation, and Youth Ministries degree from Judson Baptist College in Portland, Oregon and is has completed his Masters degree in Counseling from Adams State University. George enjoys doing anything with his family, follows the Colorado Rockies and is recently trying to improve his golf game. George and his wife Sheri were married in January 1988. They have 2 grown sons, who are married. Tyler and his wife, Chelsea, live in Colorado Springs. Josh and his wife, Heaven, live in Minneapolis.